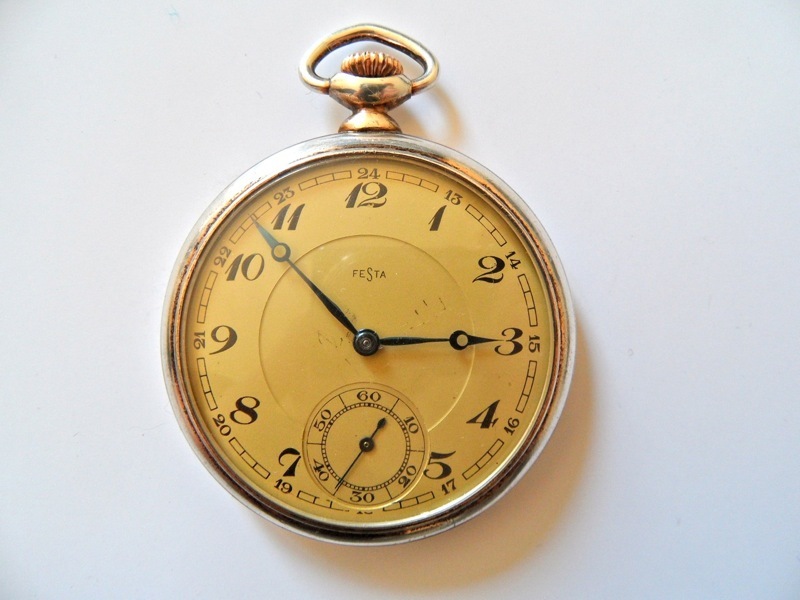 Design of Swiss pocket watch from 1928. Silver plated case. Old silver stamps. Previous PostGirl illustration in Art Nouveau style.